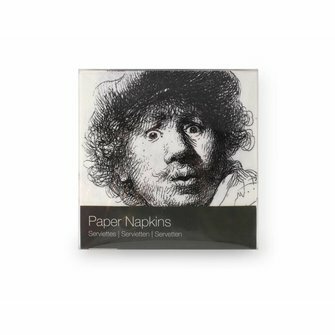 Paper napkins Rembrandt with free postcard. 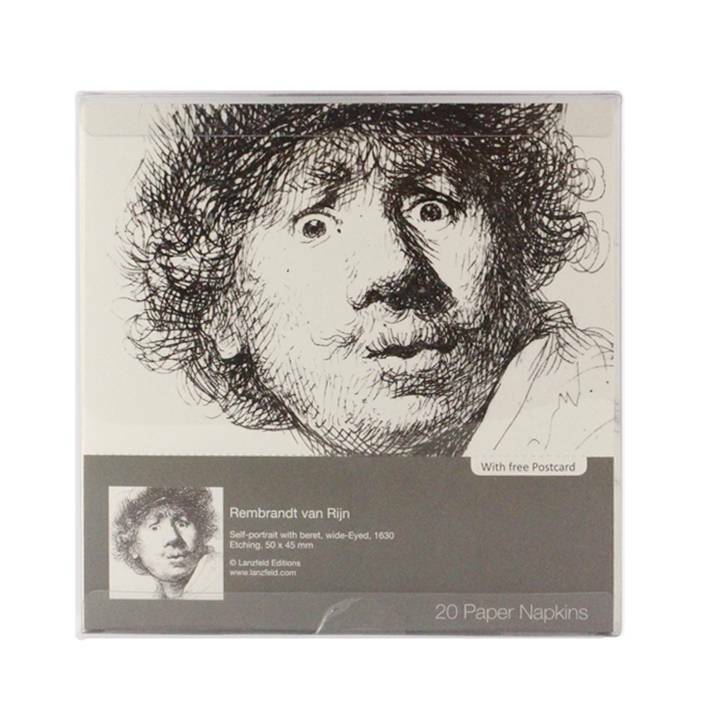 Set of 20 paper napkins Rembrandt with 1 free postcard. 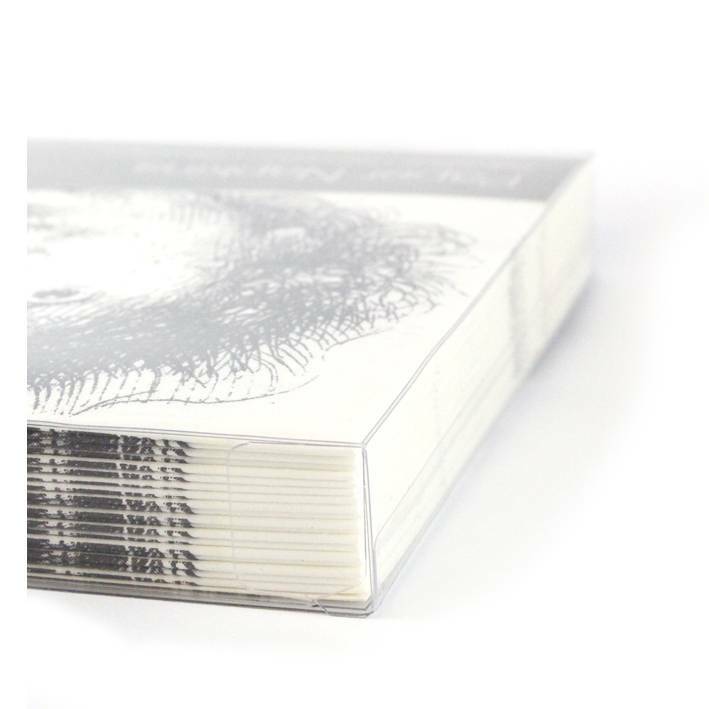 The transparant gift box is 17 x 17 cm. 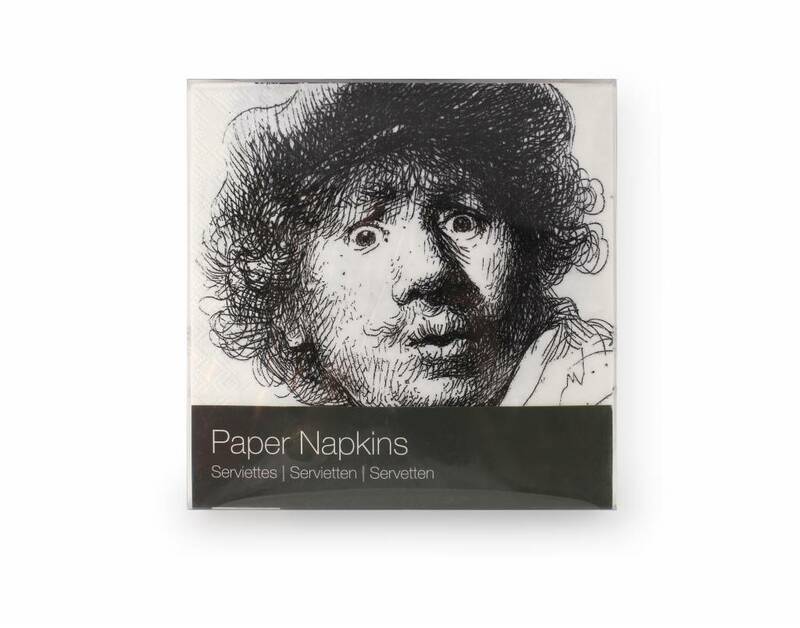 Unfolded the napkin shows 4x the Self-portrait of Rembrandt, Open-mouthed.